Shari Howard McMinn, is mother to 11, an adoption and homeschooling advocate. She is also an author, editor, farmwife, homemaker, public speaker, and volunteer. She retired from her two-decade career as a commercial Interior Designer in order to homeschool her children, and to spend more time with her beloved husband, Cary. Simultaneously, the family left their urban life near downtown Denver, and purchased a remote farm in eastern Colorado to benefit from an agrarian lifestyle. McMinn was widowed unexpectedly in June of 2013, with 5 minor children still at home and a farm to manage. As a working, single parent, McMinn writes non-fiction, and enjoys public speaking on a variety of topics including adoption, child development and nutrition, entrepreneurism, frugal living, homeschooling, self-reliance, small scale sustainable family farming, working widowhood, and writing as a second career. An ardent community volunteer, McMinn is the Support Group Leader for both her local homeschool and adoption/foster care support groups. McMinn and her adult children enjoy working together in their family economy which includes BLESSED CREEK FARM, LLC and its wholly owned subsidiary EXPANDING HORIZONS MEDIA. On their farm in northeastern Colorado the McMinn family offers homesteading workshops, and educational tours to like-minded families. In November 2014, Generations With Vision published McMinn’s debut non-fiction work STRETCHED YET UNBROKEN, A Family Knit Together Continues their Legacy of Faith. It is an inspirational five generation family memoir of God’s faithfulness. Her follow-up book, ADOPTION: YOU CAN DO IT! A Husband-Wife Date-Study for Successfully Raising Adopted Children in The Christian Home, is scheduled for release in November of 2016. Shari McMinn is staff Editor of the Christian Home Educators’ UPDATE, a three issue/year, full color print magazine with mailing list of 6,000. 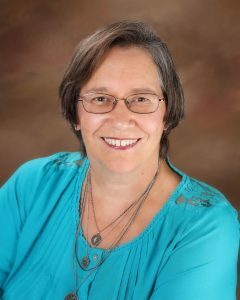 She is also a frequent volunteer for CHEC, as a blogger at www.chec.com, teaching several times a year at Introduction to Homeschooling workshops, representing CHEC at Book Fairs and Self-Reliance workshops, as well as presenting occasional workshops at the Colorado Homeschool Conference held annually in June.